"My mantra is 'One Team. One Goal.' And I have taken steps to make the decision-making process open so everyone throughout the company is aware of how decisions are made and how they will affect each of us," she says. Ossenfort has a long history in accounting. She operated her own accounting practice and worked in public accounting as an auditor from 1994 to 1996. 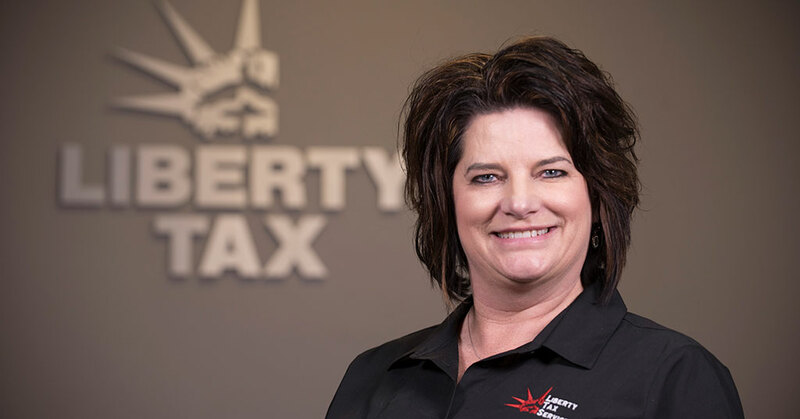 She first joined Liberty Tax as a franchisee in 2002, operating offices in South Dakota and Wyoming. In 2004, she became an area developer for the brand and remained in that role until September of 2017. That same year she served as vice president of the company's 360 Accounting Solutions business from April to October. She was twice elected to the brand's Franchisee National Advisory Council. She also spent time as a company spokesperson and conducted special training programs designed to help fellow franchisees succeed. Her list of accomplishments makes it easy to see she is dedicated to the Liberty Tax brand. She believes her previous tax and franchisee experience have prepared her for the role of president and CEO. Ossenfort says franchisees, a critical ingredient in the success of the brand, will play a significant role in her collaborative management style. "I believe in engaging people at all levels of the company to better understand where we're succeeding and where we may need to make change to keep the brand thriving," she says. Ossenfort knows that keeping everyone on the bus focused, engaged, and passionate about what the brand is doing will be critical in delivering a great product and customer service. It will also help build momentum and growth. 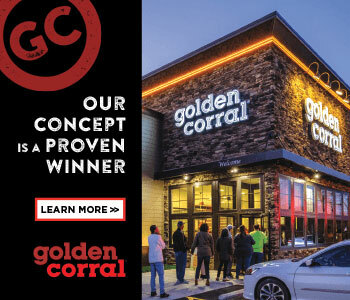 "I want to continue to add franchises so that we can deliver that great Liberty Tax service to even more people, and even more franchisees can discover the benefits of leading a business," she says. I am passionate about Liberty Tax, and I am focused on its growth and prosperity. I have a collaborative leadership style. I believe in engaging people at all levels of the company to better understand where we're succeeding and where we may need to make change to keep the brand thriving. The founder and chairman of Liberty Tax, John Hewitt, is a mentor. I was impressed as a franchisee to know that my opinions counted--that the CEO had an open-door policy and that he listened to those closest to the customer. He was honest with me about my strengths and weaknesses, and he didn't hesitate to let me know when I was headed down a wrong path. That mattered to my success. I know that matters to current franchisees, too. Making sure our franchisees and employees are all focused, engaged, and passionate about our goals and about delivering the best customer service experience out there. Liberty Tax has always had a family feel, and nothing can change that. The tone is set at the top. We treat each other with respect. We acknowledge each other in the hallways. Our employees know that we care about them and that we trust them to do great work. I would never discount the value of a solid education, but I've learned my greatest leadership lessons on the job. Are tough decisions best taken by one person? How do you make tough decisions? I get information from many different sources. I listen to everyone and read I lots of reports, but ultimately, I'm the one who has to make the tough decisions. I stand by my decisions, and I expect those on my team to support those decisions. We all want to be liked, but I believe it is better to be respected. People listen to people they respect. They trust you to make decisions in their best interest, and, believe it or not, they like you. Surround yourself with people who are smarter than you, and learn from them. If you're always the smartest one in the group, you won't get far because you're not expanding your horizons. Since I took on this role, I have made it a priority to communicate regularly with franchisees and employees. "One Team. One Goal." is my mantra, and I have taken steps to open the decision-making process, so that everyone in the company is aware of the decisions being made and how those decisions will affect each one of us. What do you think makes up a good management team? Diversity of skills and strengths. For a management team to work effectively, the members of the team have to complement each other. They can't bring the same strengths to the team or we'll just end up agreeing with each other on everything. We need to debate and disagree and have dialogue to make decisions in the best interest of the company and our franchisees. I think I've answered that above, but, in short, members of my team think differently than I do. So they may present different ideas or opinions on business opportunities that help us make good decisions. Do you read management books? The Effective Executive by Peter Drucker. Getting a phone call from one of our franchisees telling me that becoming a part of Liberty Tax was the best decision they made for themselves and their family. Are there any trends in the tax preparation industry you foresee having an impact on the Liberty Tax brand? Tax preparation is personal. People want tax preparers they can trust, people who are like them. As more people from diverse backgrounds look for tax preparers, they'll seek out people from their communities to serve them. Our franchisees are diverse and represent so many different ethnic groups. On top of that, we have a brand, SiempreTax+, which is solely focused on Hispanic taxpayers. I'm checking emails as early as 5 a.m. I get to my desk around 8 a.m. or so. Do brain exercises count? I don't typically have wine with lunch. We may get together for a meal or to celebrate a successful project. iCompete: How My Extraordinary Strategy for Winning Can Be Yours by John T. Hewitt. How do you relax/balance life and work? I enjoy spending time with my adorable twin grandsons. Right now, it's South Dakota. When I took the role of CEO, I left my husband back at home to run our business. I like to get there every now and then to see him. When they exceed expectations or when they surprise me by doing something out of the ordinary. We are an exceptional brand. We provide unmatched customer service. Our franchisees have this great opportunity to run a successful business that makes them self-sufficient. Long term, I want to continue to add franchises so we can deliver that great Liberty Tax service to even more people, and even more franchisees can discover the benefits of leading a business. We are a franchise business because we want to share this opportunity with others. So I measure success by our franchisees meeting their goals. Raising two wonderful children into productive human beings. We will continue to work hard, to grow our company, to add locations, and to serve our customers.